What's the best way to explain super non technical person what's blockchain? if you have methaphors or any idea of to make it simple it will be great. Re: What's the best way to explain super non technical person what's blockchain? 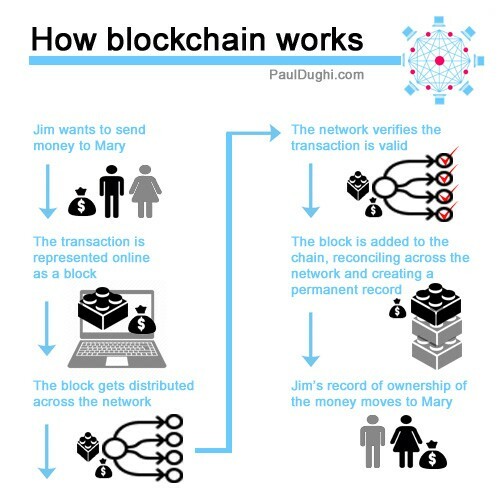 A blockchain, initially squares and chain is a developing rundown of records, called squares, which are connected utilizing cryptography. Each square contains a cryptographic hash of the past square, a timestamp, and exchange information. By enabling advanced data to be circulated yet not duplicated, blockchain innovation made the foundation of another sort of web. Blockchain is the technology which cryptocurrency is built upon. You can say that blockchain is the structure and housing while cryptocurrency is the furniture / decore. <<< that is my way of simply explaining it. Without blockchain tech, you would not be able to have cryptocurrency. Most people who start looking into cryptocurrency do exchange the two but they are two different things. Cryptocurrency is an untraceable, anonymous and unregulated currency which one could easily use for illegal transactions. What blockchain brings to cryptocurrency is provide it a way to make sure the transactions can be traced and recorded. This would allow transactions to be transparent on both ends; the sender/seller, and buyer/receiver. This super non-technical person should understand everything himself, because everyone perceives information in his own way. I think that, now on the Internet, there is enough information to study independently. I think it's best to explain by showing it all with an example. Because beginners often perceive the information but do not understand anything.